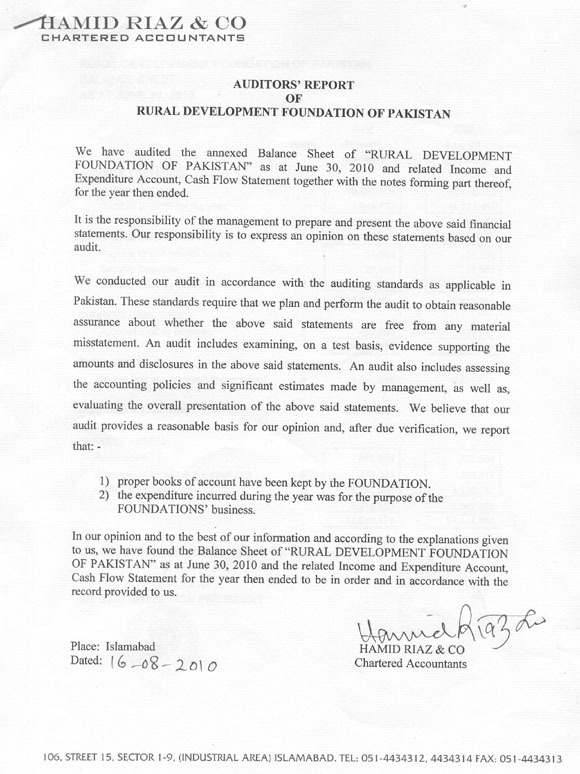 Rural Development Foundation of Pakistan (RDF), a non-political, non-profit making and non-governmental organization (NGO) recognized at the national as well as international level, was founded in June 1978 by Dr. M. Sadiq Malik with the approval of Federal Government vide EAD’s letter No. 2(2) IBRD/IER/78 and registered under the Societies Act XXI of 1860 and subsequently registered under the Social Welfare Act XLVI of 1961. At national level it has grass-roots (village level) NGOs/CBOs (Community Based Organizations) as its members and is linked globally through various NGO networks in Asia, Europe, Africa, South and North America. RDF enjoys consultative status with Economic and Social Council (ECOSOC) of the United Nations. RDF is certified by Pakistan Centre for Philanthropy (PCP) for good practices in the areas of internal governance, financial management and program delivery.